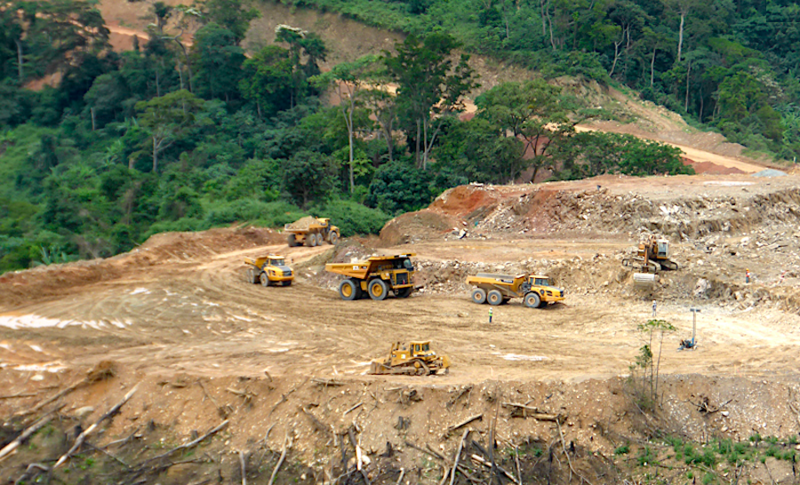 Canadian gold miner Banro Corporation (TSX:BAA) (NYSE MKT:BAA) has resumed operations at its Namoya gold mine in eastern Democratic Republic of Congo, following a preventive evacuation earlier this week. The measure was taken Monday, after 23 trucks belonging to a contractor of the mine were caught in crossfire between soldiers and a local self-defence militia near the town of Lulimba. While the kidnapped drivers have been released it’s still uncertain where they are and what happened to their trucks. While the kidnapped drivers have been released it’s still uncertain where they are and what happened to their trucks. According to the government, the released workers remain stranded because their captors freed them on condition that they leave their vehicles, money, and other belongings behind, Anadolu Agency reported. This week’s incident was the latest in a string of direct and indirect violent acts against Banro's operations in eastern Congo. In February an armed attack on the Twanziga gold mine, another Banro property, left four dead, including three policemen. Only a month later, five workers including a French national, three Congolese men and a Tanzanian worker were kidnapped from Banro’s Namoya mine. And while the Tanzanian hostage was released shortly after, the other four remained captive until late May. Banro operates in a particularly violent area of the Congo, were militia groups are still active despite a peace deal with internal rebel groups signed in 2002 and the official end in 2003 to a regional war that killed five million people. Those groups have repeatedly complain against Banro for what they consider displacement and a lack of jobs for area workers, particularly those miners that who had been working on the are before the company started operating there. On a separate statement, Banro said Friday it has appointed Rory Taylor as new Chief Financial Officer. The executive, with over 18 years of international experience, replaces Michael Li, who served as interim CFO while the company was looking for a new one.